nick at 6 months by neeta. Neeta Lind: oh, that was a very fun bath time, I will never forget it. 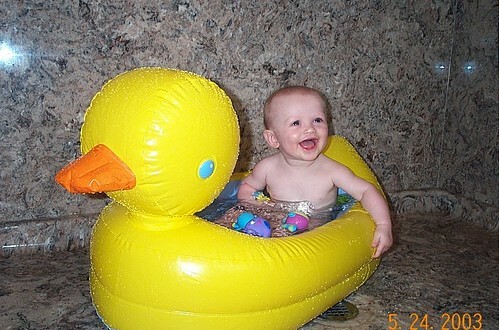 miss.love: i hope you still have that ducky bath! !